Day moon, night moon, moon moon. 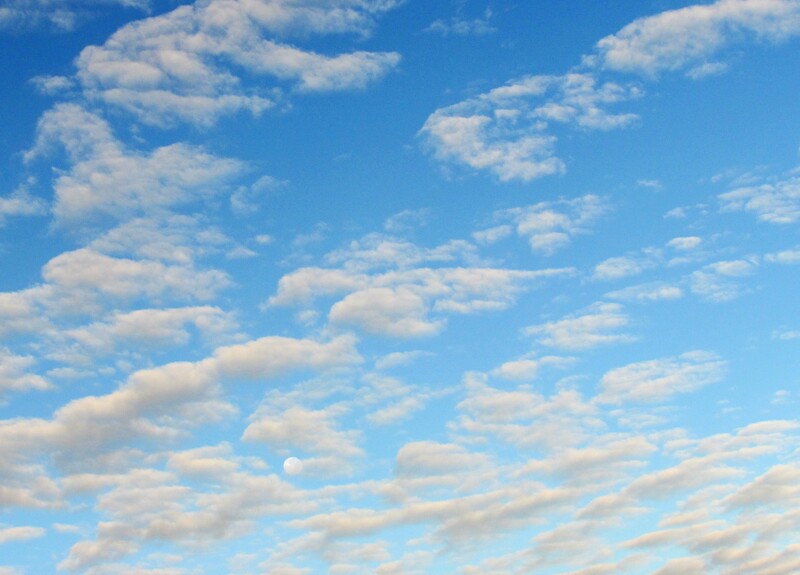 Day moon a pale button; night moon a lantern; moon moon a nursery rhyme, a fat, simple face in a blue, blue sky. Moon so bright not even clouds can hide its face. Veiled, unveiled, moon climbing rungs on a ladder of clouds. A punctuation point in an immense sky behind a flowing river of clouds. An opalescent moon, rich with the memory of hot gases, bone-crushing weights, and stories of when the universe was new. Moon stares through rippling clouds, stares with careful attention upon the earth. Thanks, Anna. I wish I could have attended the Patron of the Arts awards, but I was volunteering at Children’s until 5:30 and wouldn’t have made it until 6. You deserve even more accolades for all the wonderful support you give to writers.